Speed and Agility training is one of the hardest things to sell players on. It normally involves a lot of hard work where players are fatiguing themselves and must push through the feeling of being tired to improve their ability. While great athletes are internally motivated to improve and get better, our job as coaches is to raise the level of performance of the team as a whole. Many times this can be done through the use of competition. Athletes love to compete. This love of competition is normally what draws them to sports in the first place. By harnessing this love of competition and applying it to speed and agility training you will increase engagement and performance level. Almost any speed and agility drill can be developed into a competition. 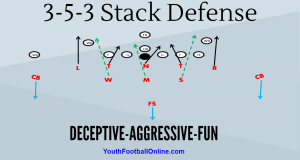 We will use one of the standard speed and agility drills to demonstrate this, the 5-10-5 Drill. In this drill players start on a middle cone. On the whistle they run one direction and touch the line. They then run to the cone on the opposite side and touch the line and finish through the original cone. This is a drill that is great and teaching players how to change direction and rapidly accelerate. The simple way to turn this into a competitive drill is by having two players going and competing with each other and add a consequence for the person who loses the drill. A way to get more players involved in the competition (which almost always leads to more energy and excitement) is by making it a relay. To do this each player will be lined up on the 5 yard lines down the field. When the drill starts the first player will start the drill going towards the next member of their team. They will do the drill just like a normal 5-10-5 but at the end instead of finishing at their line they will run an extra 5 yards to tag the next member of their team. This player will then complete the 5-10-5 and tag the next player on their team. This relay can be run two different ways. 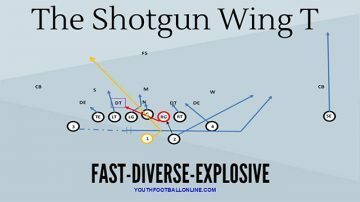 The first way is to run it until everyone on each team has completed the drill. The second way is to have a set number of people on each team and compete over a distance (normally the whole field). In these instances once the player does the drill they have to hustle to get into position for when it is their time to go again.